David Nelson, owner of The Elite Training Studio, has been in Fitness for the last 25 years. After working at both Midtown and the Country Club of Rochester he has finally branched out on his own, much to the delight of his friends who've been asking him to do so for years. David opened this studio last September with classes in the evenings and is happy to announce that he will be opening full time with additional classes on July 1st! The Elite Training Studio is not your average gym where you can drop in at anytime and use the equipment. 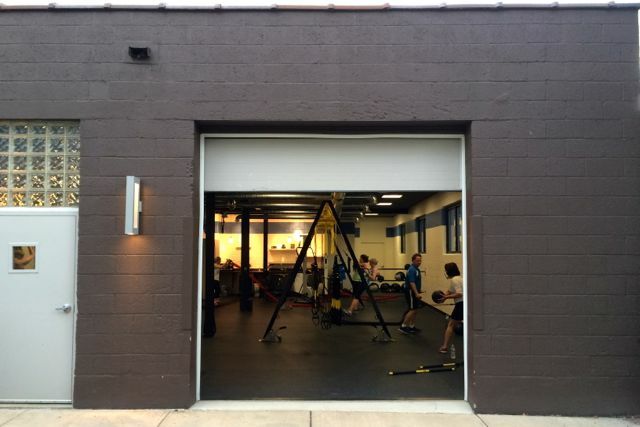 It is a fitness coaching center with set classes and with options for 1 on 1 training, and groups (2-4 people). Their goal is to provide a workout that delivers results every class and they have the technology and the equipment to do so. This fitness studio is the first and only one in Rochester to use MYZONE, a state of the art heart rate monitoring device. Through a MYZONE activity belt, data is recorded and sent in real time to a screen for everyone to know how they're doing. The device measures calories, heart rate, and effort using MYZONE Effort Points (MEPs). All measurements are based on your body, weight, muscle mass, body fat and much more, not a generalized statistic. It also keeps track of exercise outside of the studio - up to 16 hours of data! Next time you're in, the information is sent to MYZONE and you'll even receive emails with your stats - helping you set goals and stay on track. The Elite Training Studio uses TRX Training. This is a suspension based system that was developed by a Navy Seal to keep his guys in shape. The system leverages your own weight against gravity. David gave us a great demonstration of one of the many things his classes include! The studio also utilizes other equipment such as kettlebells, sandbags, medicine balls, and more to create classes with different levels of intensity. Come down and check out the Elite Training Studio on Thursday, June 26th, for their Open House and Grand Opening Celebration, from 5-8pm! Learn about the studio, preview a class, and enjoy music from DJ LuLu Robinson, as well as light fare and beverages. See first hand what this studio has to offer, right in the heart of our city!